Oman is currently implementing a string of projects worth $26 billion aimed at the sultanate’s economic diversification, a senior official has said. The mega projects, including oil and gas, refinery and petrochemical investments, will position the Sultanate as a strong player in the energy sector, as well as boost local value creation and employment generation, Salim bin Nasser al Aufi, Under-Secretary of the Ministry of Oil & Gas (MOG), was quoted as saying by Oman Daily Observer. The projects aim to make a significant contribution to sustainable development through which the MOG seeks to attract promising investment opportunities, expand investments and work with partners to capitalize on technical expertise in order to help boost local production and create jobs which have so far reached some 6,000 positions, he noted. 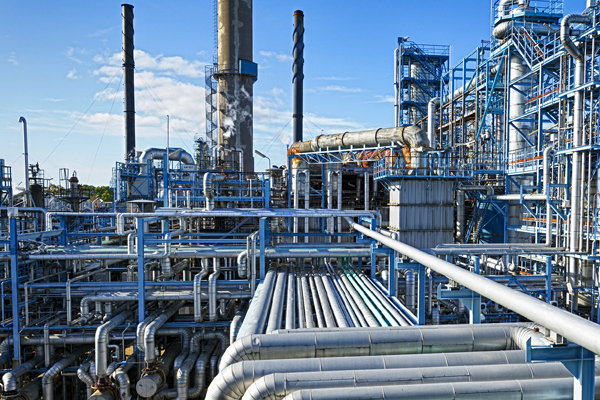 * Liwa Plastic Industries Complex (LPIC), a mammoth petchem scheme under construction at Sohar Port at a cost of $6.7 billion, will contribute to the production of polyethylene, a class of plastics that enjoys growing global demand. The project will be ready in Q2 2020. * Work on a sizeable portfolio of refining and petrochemical projects is progressing in Suhar, Duqm, and Salalah. Oman Oil & Orpic Group is executing the Salalah Liquefied Petroleum Gas Project at a cost of $826 million. * Rabab Harweel Integrated Project (RHIP), being implemented by Petroleum Development Oman (PDO) with an investment of $4.7 billion. Billed as one of the largest oil and gas schemes in the sultanate in terms of capital costs, the integrated project will produce gas and condensates from the Rabab field and oil from the Harweel field using miscible gas injection. The giant scheme is expected to come on stream in June this year. * PDO’s Yibal Khuff project, which is being constructed with an investment of around $2.9 billion. The project is designed to harness the acid oil and gas potential of the Khuff and Sudair reservoirs. The project is slated to come into operation in early 2021. * PDO recently brought into operation its Tayseer acid gas field, which was discovered in late 2014. A preliminary processing plant at site processes hydrocarbons which contain 4 percent hydrogen sulphate gas, producing 35 million cubic feet of gas and 4,400 barrels of condensate per day. Total investment in the venture was $350 million. * Ghazeer, representing Phase 2 of BP’s tight-gas development in Block 61, is also making headway in its implementation. Work on a new gas processing plant is now well past the midway point. The project will add a further 0.5 billion cubic feet per of gas when the Ghazeer field commences production in early 2021.